Vox Populi Returns!!! Join Our Live Chat Tonight at 7:00pm PDT! Well, we’re back from hiatus tonight with another edition of Vox Populi, our live chat about the week’s events…and there have been quite a few of them this week! Donald Trump is now officially the GOP nominee for President (you may spit take at your leisure), Trump agreed then ran away from a debate with Bernie, Hillary is weathering some tough criticism from the State Department on her email server and a Silicon Valley Billionaire has unveiled a way for the wealthy to take down any media outlets that upset them by financing lawsuits against them. And much, much more to discuss! You can join in the lively conversation or read along by clicking on the “Vox Populi” floating bar in the bottom right hand corner of your screen (if you only see a small button there, click on it to sign in then click the Vox Populi bar. JOIN THE LIVE CHAT TONIGHT! Vox Populi begins at 7:00pm PDT!!! JOIN OUR LIVE CHAT TONIGHT! 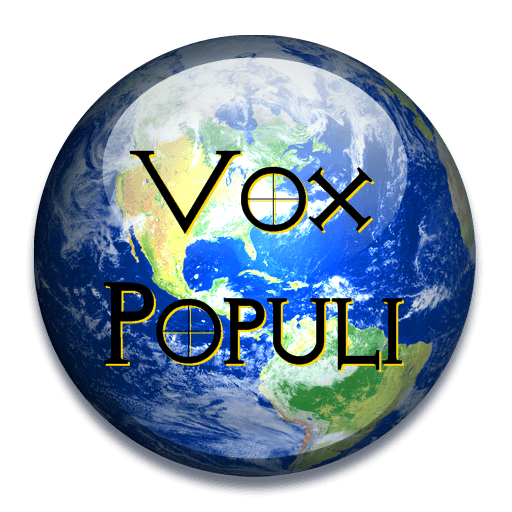 It’s…Vox Populi at 7:00pm PDT! Join Us Tonight at 7:00PM PDT For Our Live Weekly Chat – It’s Vox Populi!